With an increasing focus on energy and the environment, there are lots of solar kits to teach children a range of useful scientific principles. These solar toys are actually very interesting and ideal for exploring the fundamentals of solar power. Most kits are easy to connect and fun to experiment with. 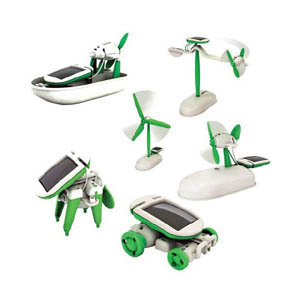 These sun powered toy kits teach about environmentally friendly energy and some basic mechanical skills. Heck, you can even teach your kids the principles of air displacement and motion. See also my post about homemade stirling engines. Learn to build a simple circuit and see solar power in action! New and envirmental ideas are best spread by children and with these sun powered kits, it can make education fun and it will teach them something about solar energy and our environment. 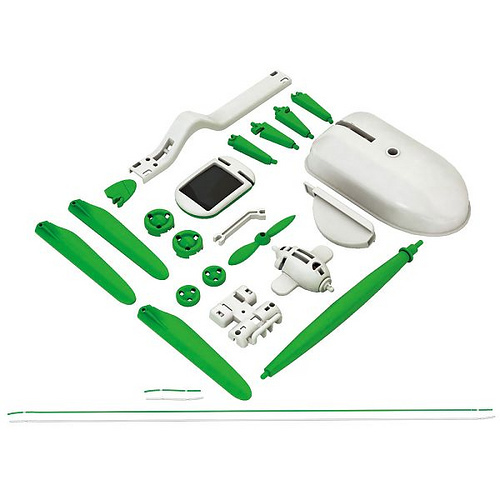 Want to buy toy solar kits? Check out: Amazon or eBay. I guess this would be a nice solar project for my son’s Show-and-Tell!